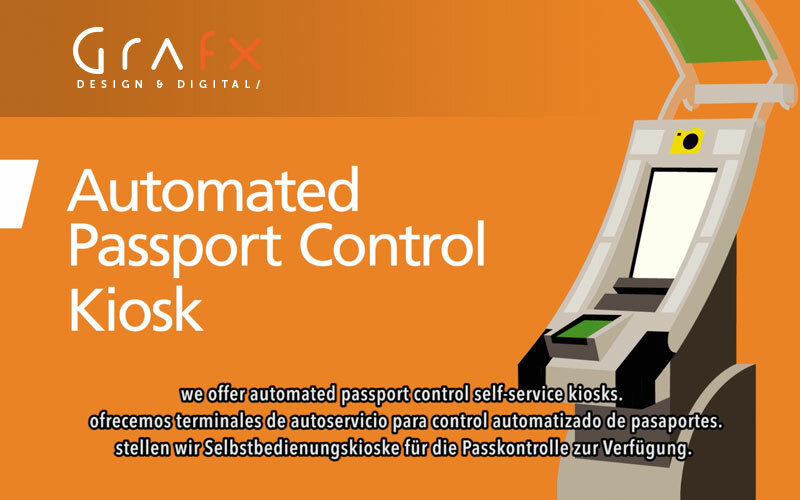 In order to make customs processing easier for its arriving passengers, Tampa International Airport implemented Automated Passport Control (APC) Kiosks. This system makes it much quicker and easier to complete the U.S. Customs and Border Protection screening process. 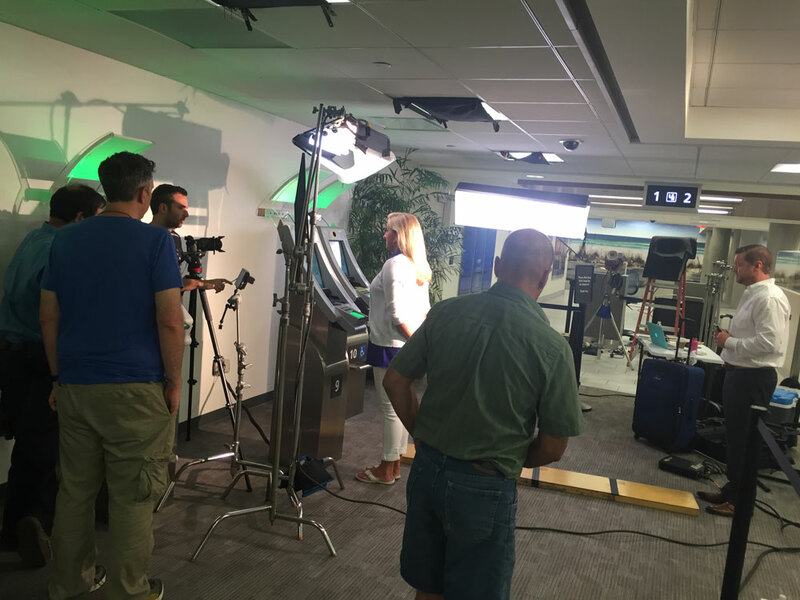 To further educate its passenger about this new system, TPA hired Grafx Design and Digital to create a detailed instructional video that plays both on the arriving aircraft and in the terminal while guests wait to begin the customs process. This video features a mix of motion-graphic animation and instructional “on-site” video. The project began with a detailed storyboard to ensure all seven-plus minutes of this video received thorough creative direction. This allowed the client to see the vision and sign off before fully beginning the production and post-production processes. After the storyboards were approved, we set off to hire some local actors needed to perform specific roles. 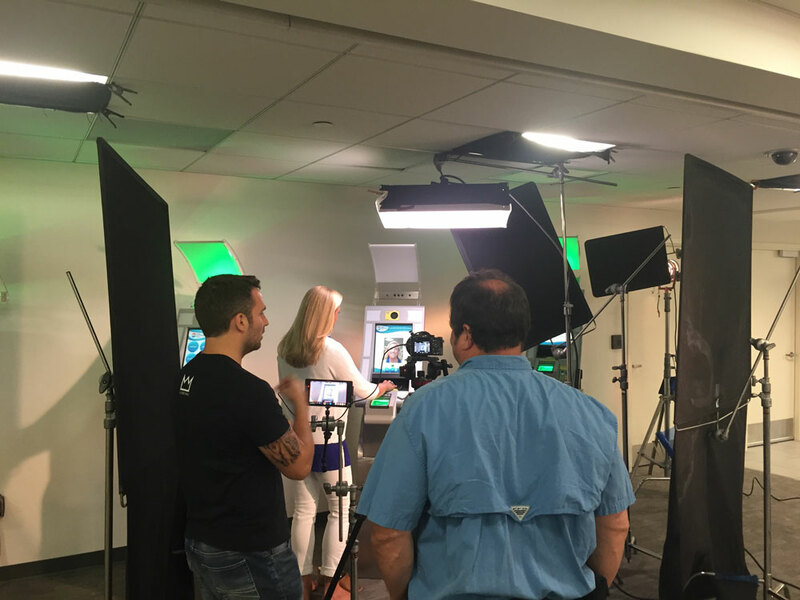 To accomplish the live shoot, our Grafx team needed access to the Kiosks. Unfortunately, due to FAA regulations our crew could not shoot while travelers were in the terminal. So, we scheduled an all-nighter at the airport beginning at 10pm to ensure the area was clear for shooting. Once the actors’ hair and makeup were ready to go, we got to shooting around 11pm and worked until sunrise. The Airport staff were gracious enough to provide drinks and snacks throughout the night (mainly coffee!). In the end, the client was very pleased with the outcome of this video. In fact, we are in the process of working on additional voice-over projects targeting many different aspects of the airport experience. So the next time you return to Tampa from an international flight, look for the Automated Passport Control Kiosk video and think of us. Safe travels! Grafx welcomes Valerie Vargas to the team!